Work for Micro Focus ZENworks Mobile Management? 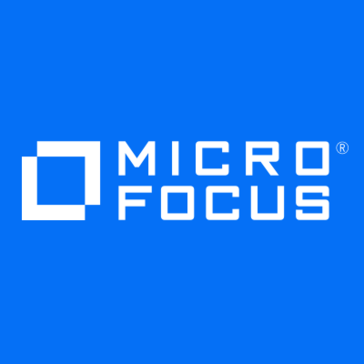 Learning about Micro Focus ZENworks Mobile Management? I have no complaints about this device app. You can face the mobile management issues facing your organization today, security, app. Management, asset, and inventory management. Superb software that coincides with our encrypted software that we’ve used in its entirety. Technical support is also amazing. At times the interface freezes with bugs and becomes overloaded. Phone has to be turned off to clear this issue. Having Zenworks mobile allows us all to be more productive with mobility. It also synchronized devices in a succinct manner. A complete Apple management solution for IT pros to empower users and simplify the deployment, inventory, and security of Macs, iPads, and iPhones. Designed to automate device management for you while driving end-user productivity and creativity, Jamf Pro (formerly Casper Suite) is the EMM tool that delights IT pros and the users they support by delivering on the promise of unified endpoint management for Apple devices. KACE is a comprehensive systems management solution that streamlines asset management, better secures all network connected devices, imaging and administration of system images and more efficiently services end user systems. Hexnode MDM is a Unified Endpoint Management solution that provides extensive device management and security solutions for both BYOD and corporate-owned devices, while managing all endpoints across multiple platforms such as iOS, Android, Windows, macOS and tvOS from a single console. Scalefusion is a cloud based mobile device management solution which enables users to control their company's Android devices. The system locks devices into kiosk mode, replacing the standard device home screen with a customizable display that limits which apps and websites can be accessed by device users. Desktop Central is an integrated desktop and mobile device management software that helps in managing servers, laptops, desktops, smartphones, and tablets from a central location. Manage your devices, apps, profiles and assets by performing mobile device management (MDM) operations to configure and secure mobile devices from a central location. It supports managing iOS, Android, Samsung SAFE & Samsung KNOX devices and Windows phones. Keep employees happy and data secure with easy to set-up mobile management for Android, iOS, Windows and other smartphones. Citrix Endpoint Management delivers mobile device management (MDM), mobile application management (MAM) and enterprise-grade productivity apps in one comprehensive solution. XenMobile enhances the user experience on BYO or corporate devices without compromising security. Apple device management can be time-consuming work, especially if IT is not your day job. Make iOS and macOS device setup easy, so you can spend your valuable time doing other work. Jamf Now, formerly Bushel, is a cloud-based MDM solution for the iPads, iPhones and Macs in your workplace. Device management is fast, accessible and affordable, so you can support your users without help from IT. * We monitor all Micro Focus ZENworks Mobile Management reviews to prevent fraudulent reviews and keep review quality high. We do not post reviews by company employees or direct competitors. Validated reviews require the user to submit a screenshot of the product containing their user ID, in order to verify a user is an actual user of the product. Hi there! Are you looking to implement a solution like Micro Focus ZENworks Mobile Management?